One of the key advantages sales representatives are finding by using manufacturer apps is their ease of use in the field. Rather than spending valuable time collecting literature and setting up product demonstrations, representatives need simply to open an app with a touch of a button or a swipe of the finger on their smartphone or tablet. The apps manufacturers offer vary significantly, says Browne. Most apps are loaded with selling sheets, user guides, case studies, product specs and other product documents that can be easily viewed and shared on a device, or sent through email. Other manufacturers have embedded multimedia tools into their apps, such as 360-degree photos or educational and training videos, providing end users with a quick visual reference. And some manufacturers have introduced a whole new way to experience their products — virtually. 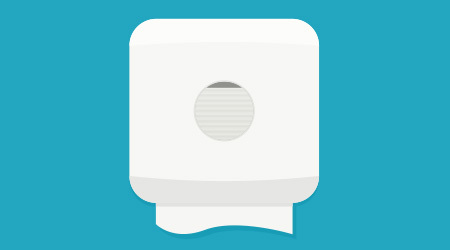 For example, one manufacturer of soap and sanitizer dispensers offers an app that helps sales representatives show end users what a product will look like in their facilities. Sales representatives simply snap a picture of the product’s potential location, and the product’s image is superimposed into the frame. End users can then experiment with the product by switching out the dispenser’s design, changing the color or uploading a custom logo or message. At Bio-Shine in Spotswood, N.J., the sales staff uses tablets in the field to access manufacturer apps, where they can easily share documents, such as safety data sheets, with clients. This can be done on the fly during presentations or during informal conversations with clients, says Glenn Rothstein, Bio-Shine president and CEO.